I received an ARC from the publisher in exchange for my honest review. 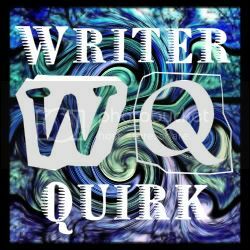 Recently I was contacted by a publicist at Viking Penguin asking if I’d be willing to conduct an interview with one of their authors, who would be in my area soon. I’m not sure why they picked me, but I’m glad they did, because that author turned out to be Gayle Forman, author of international bestseller If I Stay, among other popular books. If I Stay was recently made into a movie, which means Gayle is now understandably busy, so I leapt at the opportunity to read her newest book, I Was Here, and then sit down to talk with her. When you know you’re going to meet the author, there’s always a bit of nervousness that comes with reading their book. No author expects every reader to love their work, but so many of the authors I’ve met are such lovely people that I desperately want to be able to tell them I enjoy their stories. With Gayle, I needn’t have worried. Not only was she kind and generous and wise in person, but I loved her book. Like most of her work, the subject matter is difficult, but it’s handled well, with care and honesty. It may actually be my favorite one of her books. You can read my interview with Gayle on Young Adult Books Central, as well as enter to win a hardcover copy of I Was Here. When her best friend Meg drinks a bottle of industrial-strength cleaner alone in a motel room, Cody is understandably shocked and devastated. She and Meg shared everything—so how was there no warning? But when Cody travels to Meg’s college town to pack up the belongings left behind, she discovers that there’s a lot that Meg never told her. About her old roommates, the sort of people Cody never would have met in her dead-end small town in Washington. About Ben McAllister, the boy with a guitar and a sneer, who broke Meg’s heart. And about an encrypted computer file that Cody can’t open—until she does, and suddenly everything Cody thought she knew about her best friend’s death gets thrown into question. I Was Here is Gayle Forman at her finest, a taut, emotional, and ultimately redemptive story about redefining the meaning of family and finding a way to move forward even in the face of unspeakable loss. After reading Forman’s debut novel, If I Stay, and its sequel, Where She Went, I knew Forman was not afraid of tackling difficult subjects and handling them with care, which is why I was interested to see her approach to one of the most upsetting and relevant topics in our society today, teen suicide. Though the subject matter is far from pleasant, it only takes a glance at the headlines to confirm that this is a very real problem facing teens. It is my hope that I Was Here and books like it will help kids experiencing thoughts of suicide realize they are not alone, and raise awareness in the people who love them. I Was Here follows Meg’s best friend, Cody, as she learns to navigate life without her other half following Meg’s suicide. We never meet Meg except through Cody’s memories, and while there is an element of mystery and suspense as Cody tries to make sense of why Meg would kill herself, I Was Here is ultimately a book about grief, and how to move on after unspeakable loss. It feels strange to say I enjoyed a book centered on such a grim topic, but I did. I Was Here constantly walked the line between hopeful and tragic, light and dark, guilt and healing. Cody could be a difficult narrator at times, partially because she was in such a painful emotional state and partially because Cody was naturally standoffish, but the other characters provided balance and occasional humor, which I appreciated. 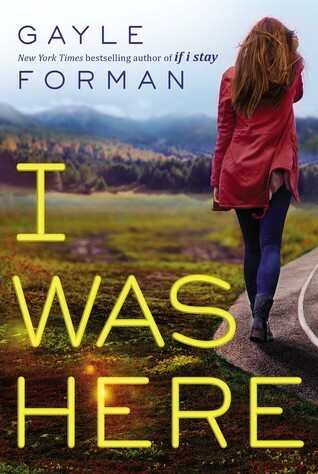 As in all of Forman’s books, there is a romantic element to I Was Here, but it took a backseat to Cody and Meg’s story. I enjoyed watching Cody and her reluctant love interest come together, and fans of subtle, slow-burn romance will appreciate how their story is woven into the main narrative of trying to put together the pieces Meg left behind. The mystery – why Meg killed herself when, to Cody’s eyes, she had shown no indication that she was suicidal – takes both Cody and the reader down a disturbing rabbit hole that is both illuminating and horrifying. I was concerned at first that the book may attempt to distance itself from its subject matter, taking the easy way out, but I shouldn’t have worried. I Was Here faces its demons head-on, even when Cody would prefer to stay steeped in denial. Even though the book winds up where most people probably assume it must, the journey Cody takes to get there is in turns heartbreaking and hopeful, and at the end, I came away satisfied. I’d recommend this book to fans of Forman’s previous books, as well as anyone interested in a raw, thoughtful story of depression, loss, grief, and healing. 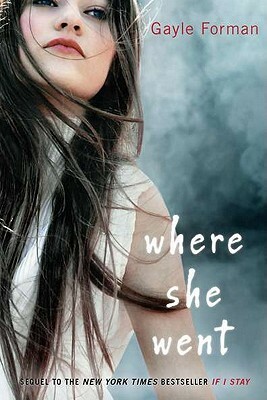 Where She Went is the sequel to If I Stay by Gayle Forman. 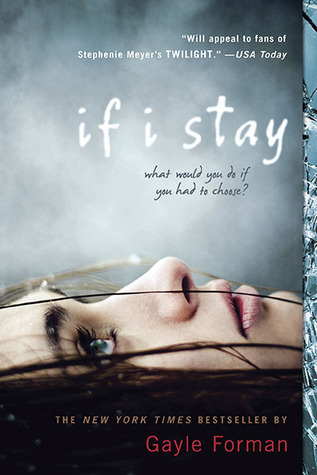 In If I Stay, the protagonist, Mia, gets into a horrific car accident with the rest of her family, and the book is about her decision to return to her life, such as it is, or to succumb to her injuries. Where She Went picks up three years later, with a different protagonist, and I can’t really tell you anything else without spoiling If I Stay. So if you haven’t read it and you don’t like spoilers, stop reading here and come back after you’ve read If I Stay. You can read my review of it here. It’s been three years since the devastating accident . . . three years since Mia walked out of Adam’s life forever. Now living on opposite coasts, Mia is Juilliard’s rising star and Adam is LA tabloid fodder, thanks to his new rock star status and celebrity girlfriend. When Adam gets stuck in New York by himself, chance brings the couple together again, for one last night. As they explore the city that has become Mia’s home, Adam and Mia revisit the past and open their hearts to the future-and each other. Strange as it sounds, considering no one is fighting for their life in this one (at least physically speaking), I found this book much harder to read than If I Stay. Reading about Adam’s struggles in the years since the accident, after seeing what he was like before then, was just heartbreaking. And honestly, even though I liked Mia in If I Stay and was rooting for her, I kind of hated her in this book. Partially because Adam didn’t hate her, and I wanted him to. I understood from Mia’s perspective why she acted the way she had, but since the story is told from Adam’s POV, I just ached for him. And Adam…oh Adam. He was a bit of a knight in shining armor in If I Stay, the kind of character you really need to have a happy ending. But the three years between the two stories have not been kind to him, and he made a lot of bad decisions. I kind of wanted to throttle him in his flashbacks, keep him from going down paths I knew were going to mean nothing but trouble. But I couldn’t, and he screwed up over and over, and it was frustrating and annoying and real. The one problem I had with the book, other than that it made me feel feelings I’d rather not have (which, to be clear, means it succeeded), was that while the emotions were extremely real and visceral, the external events were a bit hard to swallow. I had a hard time buying that Adam became a famous rock star and Mia a world-class cellist within the 3-year span following the accident (especially considering the physical rehabilitation Mia would have needed). Is it possible? Yes. People become famous, and people date people that also become famous. But that these people would become famous…I don’t know. It seemed like a bit of a stretch. I kind of wish it had been more a case of two people bumping into each other than two famous people being able to follow each other’s lives and seek each other out because they are famous. And the only other issue is that after spending the entire book working towards the ending, I was left wanting more. After all those painful emotions, I needed something more to balance it out. But I can’t say this is a criticism of the book — shouldn’t all good books leave us wanting more? I’d have a hard time determining whether I preferred If I Stay or Where She Went, because while they feature the same characters in the same timeline of events, they are two very different books. It feels like an apples-to-oranges comparison. So I’ll just say that Where She Went, once again, made me have all sorts of feelings, both uplifting and painful, made me connect with realistic and interesting characters, and left me thinking for a long time afterward. I’ve been hearing great things about If I Stay by Gayle Forman for a long time now, but I didn’t get around to reading it until one of my real-life friends mentioned that it (and its sequel, Where She Went) were among her favorite books. I figured if they’re her favorite books, she probably owns them, and so I asked to borrow them. I read both over the weekend of my brother’s wedding, then needed a few weeks to process them. They’re the kind of books I can’t form coherent thoughts about right off the bat. But now I think I can (maybe) talk rationally about them. Although, for the purposes of this review, I’ll only be discussing If I Stay, because they are very different books. In the blink of an eye everything changes. Seventeen ­year-old Mia has no memory of the accident; she can only recall what happened afterwards, watching her own damaged body being taken from the wreck. Little by little she struggles to put together the pieces- to figure out what she has lost, what she has left, and the very difficult choice she must make. Heartwrenchingly beautiful, Mia’s story will stay with you for a long, long time. If I Stay alternates between Mia’s flashbacks of her life and her out-of-body experience after the accident, watching her friends and family react to what has happened to her, her parents, and her brother. We get to see snippets of her childhood, her interaction with her parents and brother, and the evolution of relationship with her boyfriend, Adam, and her best friend, Kim. Meanwhile, we’re also in the hospital, seeing how Adam, Kim, Mia’s grandparents and other extended family members are coping. And through it all, Mia has to decide if she’s going to succumb to her injuries or fight for her life; if the experiences she hasn’t yet had are worth the pain of the world she’d be returning to. This book hurt to read. While Mia is a bit of a detached narrator, it was still devastating to view the scene of the crash through her eyes, and to experience each of her revelations with her throughout the book. But although there is lots of sadness and hardship in this book, there is also joy and humor. Mia had an overall happy life. She had parents who loved her, a boyfriend who was devoted to her, and friends that cared for her. She had a creative outlet in the cello that the people in her life may not have totally understood, but still supported. In a way, that happiness made what happened to her that much harder to read about. Her losses were large and meaningful, and it made it easy to understand why she would debate whether or not she wanted to return to a life that had been stripped of so much. There was no clear-cut right or wrong answer, and no matter what she chose, it would have made sense. It also makes her ultimate choice a double-edged sword. I simultaneously agreed with her choice and regretted, along with Mia, what she gave up by making it. The few annoyances I had with this book were actually not problems with the book, just bits of added realism for the characters. While Mia adored her parents, and they loved her fiercely, as she looked back on her life, she would reflect on some occasions with her parents that she thought were awesome and I thought were questionable parenting decisions. But of course, that’s because she’s a teenager and these are her parents, and I’m an adult, and a parent, so our perspectives are going to be very different. (Of course, that also has a lot to do with your personal parenting — and life — philosophy, and we all know there are as many of those in the world as there are people. So other parents may think Mia’s parents are the epitome of parenting, and that’s fine too). There were also a couple instances with Adam in flashback that made me raise an eyebrow or two, but again, I understood why they made sense for the characters. One of my favorite aspects of the book was the use of music, and how Mia, her parents, and Adam were all musicians, albeit very different kinds. Whenever Mia was talking about how she felt playing the cello, or about how her parents or Adam talked about music, I continually thought, yes. This is how musicians think (while I’m not the virtuoso Mia is, I still have a musician’s brain). It made me want to go watch cello videos on YouTube (because there are some awesome cello videos on YouTube. Like this one. Or this one), or to sing, or to dust off my piano music. I loved how they all related through music, and while they approached it differently, they all understood that the music was the important thing. If I Stay is a powerful and introspective look at life, love, family, friendship, and how everything we know can change in an instant. It was beautiful and haunting and sweet and sad, all at once. It’s not like any other book I’ve read, and it stuck with me for a long time after I turned the last page. Content guide: Contains graphic description of a devastating car accident, profanity, some sexual activity. Welcome to another week of book pitches based on last night’s performances on So You Think You Can Dance! Last night was kind of a mixed bag, with several of the routines (including that of my favorite couple *sob*) falling flat. But there were some gems in the mix, too, and all my favorites lived to dance again next week. 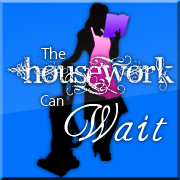 This week, I actually have two dances for you, because the first one isn’t actually a pitch. Yeah, I know, that kind of defeats the purpose, but this dance made me think of a book that already exists. Granted, the costumes don’t really fit it, but the emotion in the dance certainly does. And it was super-pretty, so I wanted to show it to you. Book: The Outlander series by Diana Gabladon, especially book 2, Dragonfly in Amber. This dance completely embodied the passionate and impossible love of Claire and Jamie to me. Okay, now I’ll do a for-real book pitch. Book Pitch: Set in the 1960s, after her boyfriend is drafted into the army and is killed in action, a teenage girl struggles to overcome her feelings of depression and loss. What did you think? Were any of last night’s dances particularly inspiring to you?